The Demilitarized Zone, more commonly referred to as the DMZ, was set up and agreed upon during the armistice agreement. Roughly 20 years later, North and South Korea met again and agreed on utilizing the DMZ as a symbol of peace, allowing human contact while protecting its pristine nature. DMZ remained restricted from the public for 40 years, which only made people more curious about visiting. While travel within the region still remains extremely limited, with some spots only open to special tours, there are many areas which are open to the general public. Visit for yourself to feel the peace of the DMZ. 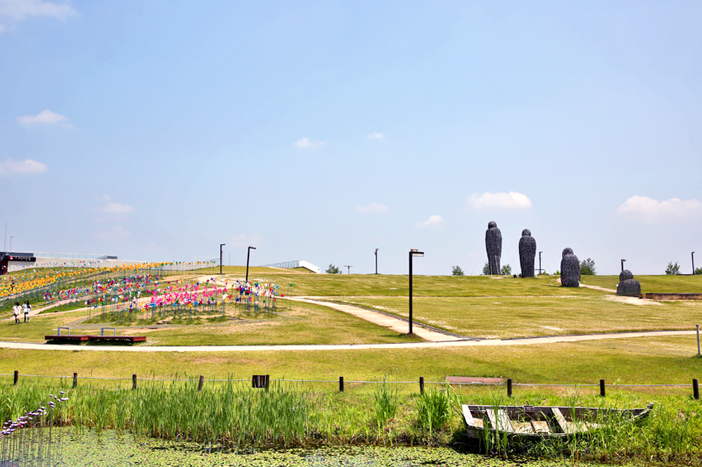 Built in 2005 in celebration of the Peace Festival, Imjingak Resort is located on an expansive, nearly-100,000㎡ grassy area. Just 7km from the DMZ, the park’s 3,000 pinwheels spin freely in the winds blowing across the Korean peninsula. However, changing this site filled with the coldness and horror of the war and its aftermath into a symbol of peace and unity required the sincere efforts of many people. In order to change the energy of the land, cultural programs such as concerts and exhibitions were held here, and it has now become a multipurpose park. Now, the area is admired for its beautiful landscape and the programs available. Imjingak Resort also includes a small amusement park, Pyeonghwa Land, popular among family tourists. The harsh history of the war will feel distant as you see parents smiling as their children laugh and play. There are 24 rides here, although there are no roller coasters for thrill seekers. 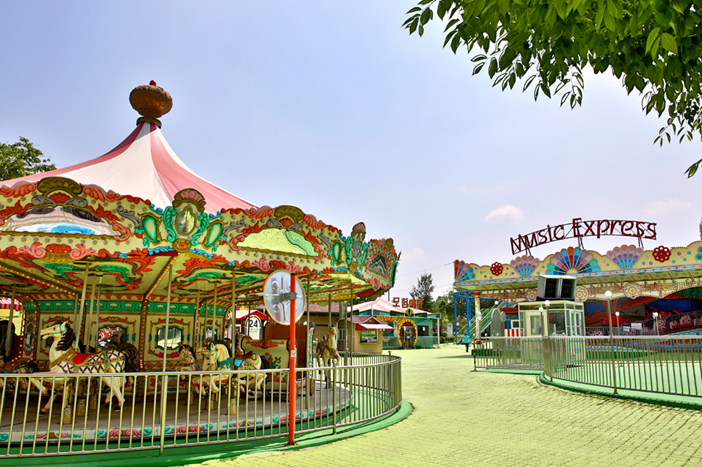 Despite its small size, Pyeonghwa Land offers a unique ambiance, not found at any other amusement park. ※ Above fares are for ride pass. Visitors wishing to purchase admission only can use the rides after paying an additional fee for each ride. Odusan Unification Observatory is located in the northern part of the Western Front, atop Odusan Mountain overlooking the meeting point of the Imjingang and Hangang Rivers. Opened to the public in 1992, the observatory has been visited by over 19 million people. As one of the must-visit attractions for reunification tourism, the observatory offers the use of high-powered binoculars for free. While the binoculars will make it seem as though you could take just one step forward and be in North Korea, they also magnify the awareness of how closed off the country is. In addition to the observation deck, the observatory’s basement level 1 through floor four feature exhibition spaces based on a variety of themes. The basement offers fun learning experiences aimed at young visitors. The second floor exhibition hall, Missing My Hometown, is very touching; the exhibition walls are decorated with tiles carrying 4,000 images of home and life before the war drawn by Korean War refugees. The other exhibitions and videos also explain the pain of separation felt in Korea. While visitors can tour Odusan Unification Observatory freely, it is important to note that due to its location within the Civilian Control Line, all visitors must leave one hour before sunset. The closing time may also change depending on the weather or circumstances on-site. Herb Village, located in Yeoncheon, is a popular attraction among visitors to the DMZ. The vast field of herbs fills one’s line of sight, with Imjingang River winding in the distance. The colors of the many herbs are as different as their scents, providing visitors with the perfect aromatic ambiance for relaxation. Enjoy walking through the field, with the various herbs lined up in orderly rows by color, as if a rainbow was taken from the sky and planted here. The plants growing within the greenhouse will make it feel as if you have stepped into a picture book. 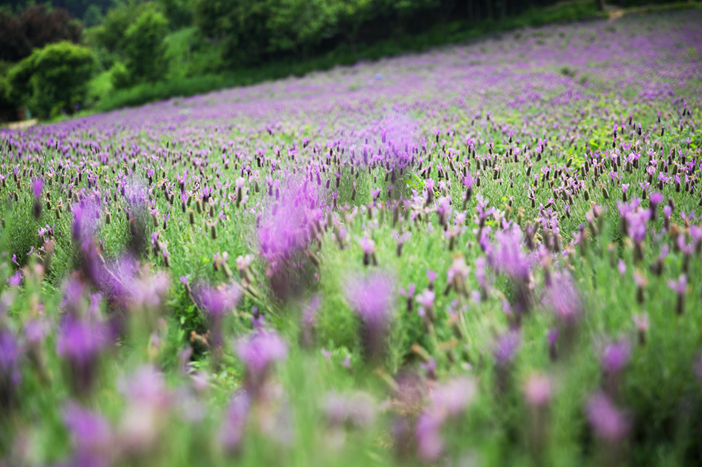 As you walk within the warm, herbal-scented air, you will feel a sense of peace and calm. The greenhouse is home to the nation’s five oldest olive trees, each over 300 years old, in addition to lemon trees, hydrangeas, and lavender. 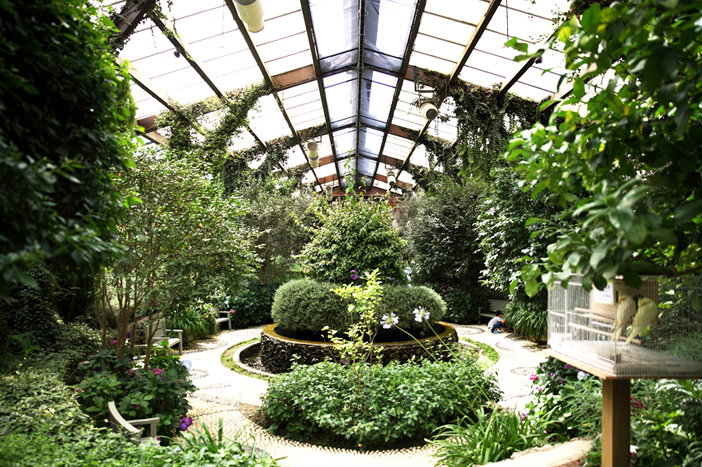 The greenhouse also features an herb museum and restaurant. 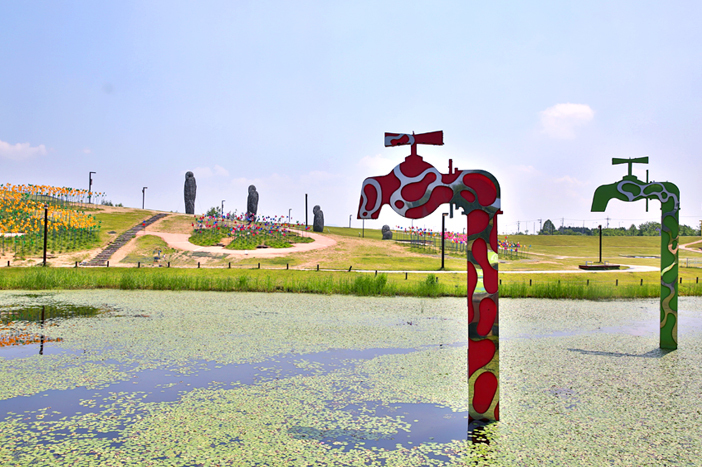 Additional attractions at Herb Village include a small pond and stone garden, perfect for photos. If you’re lucky, you might even get some friendly photo bombers, in the form of swans and other birds living here. 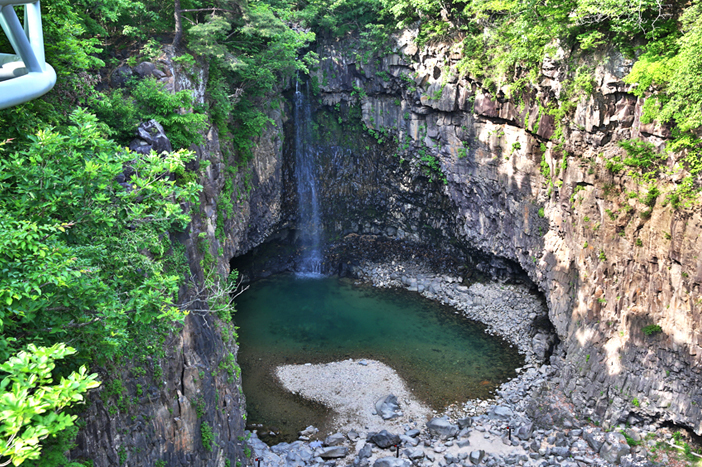 Jaeinpokpo Falls is one of Yeoncheon’s most representative attractions, even though it is located within a military controlled area. The valley water falls into the Hantangang River, created by an eruption of lava roughly 270,000 years ago. Many tourists visit in summer and early fall to enjoy the cool mist coming off the waterfall. In order to get a better look at the falls, don’t forget to use the skywalk! The glass floor provides an even fuller view of all the natural surroundings, including the rock walls around Jaeinpokpo Falls, which are slowly receding each year due to erosion. ※ Open all year round. ※ Subject to close earlier than schedule during winter depending on sunset time. ※ Due to safety concerns, the use of the staircase is prohibited as of June 12, 2018. Visitors may only view Jaeinpokpo Falls from the skywalk. The Korean Workers’ Party Headquarters in Cheorwon is a very clear remnant of the Korean War, with its pockmarked walls protecting an open ruin. 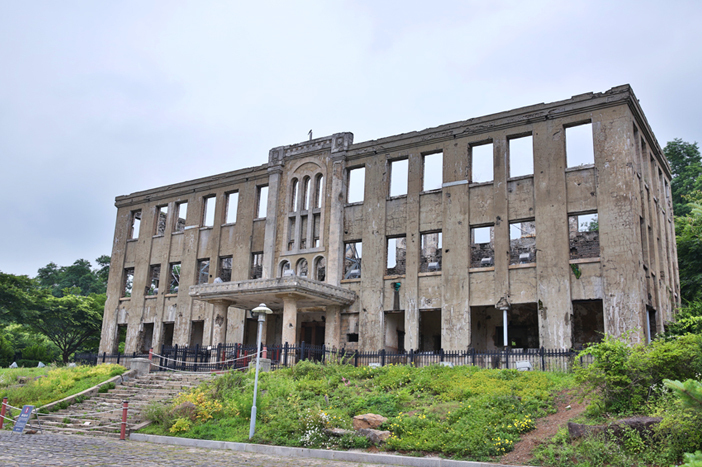 Originally part of North Korean land after the end of the Japanese occupation, the headquarters were built to strengthen the regime as well as manage the citizens. However, the area was right in the war path, suffering many attacks and bombardments, which left the building as it is now. In the 1990s, the site was used in a music video by Seo Taiji and The Boys, drawing much attention. 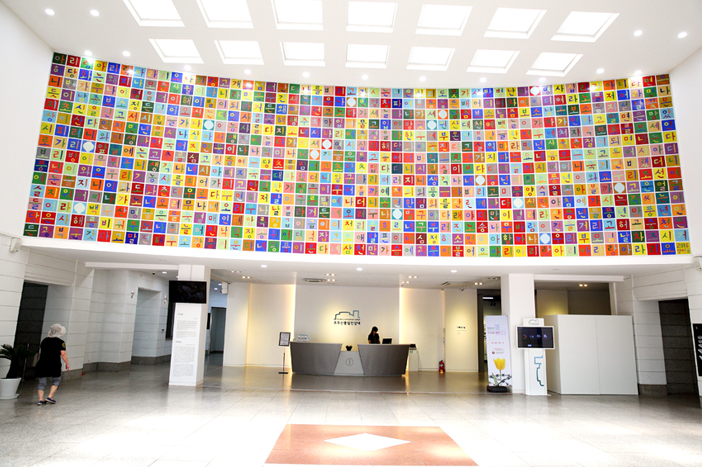 These days, the headquarters are used as the venue for a variety of events, including the DMZ Market and cultural performances. 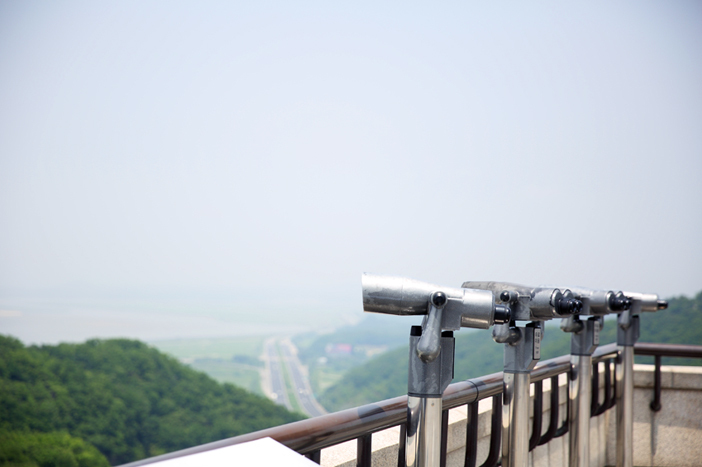 Cheorwon Peace Observatory is very popular for its views of the DMZ and North Korean land on the Central Front Line. 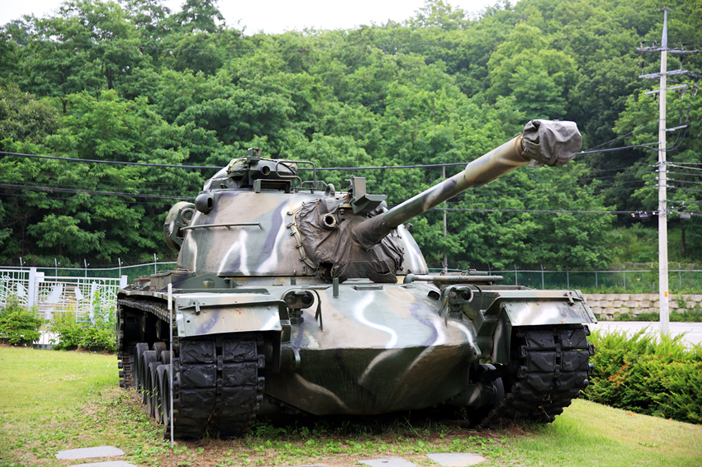 The observatory also exhibits photographs taken during the Korean War, and displays a miniature of The 2nd Tunnel, so visitors can get a better feeling of life during the war. Despite being located atop a hill, tourists can still visit with ease by taking the monorail for just 2,000 won (adult fare). Another unique attraction near the monorail ticket booth is the Unification Postbox. Although it’s not a real part of the postal system, people still drop in letters and cards with their sincere wishes for the reunification of the two Koreas. One point to be very careful of at Cheorwon Peace Observatory is restrictions on photography. 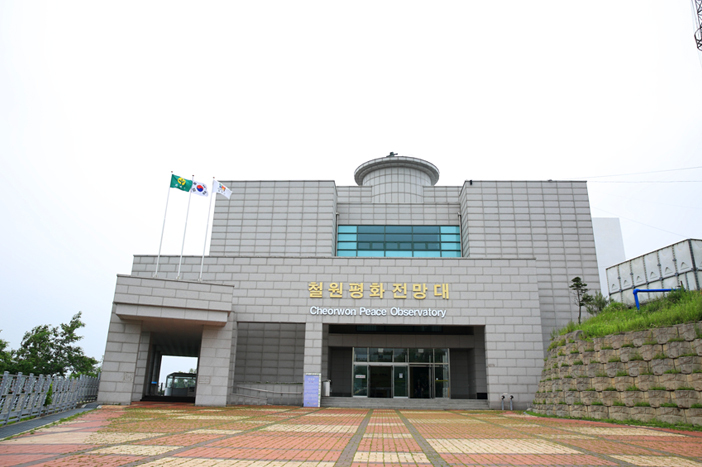 Due to the Military Facility Protection Act, photographs can only be taken within the exhibition hall on the first floor, at the observatory plaza, southern views and Pilseung Church. Areas prohibited from photography include the observation decks on floors one through three, military facilities (guard post, general outpost & iron railing), and views including the guard post to the east. If you are unsure about what is allowed, just ask before taking any pictures, and be sure to comply with any requests to delete photos you may have taken. * This column was last updated in October 2018, and therefore information may differ from what is presented here. We advise you to check details from the official websites before visiting.